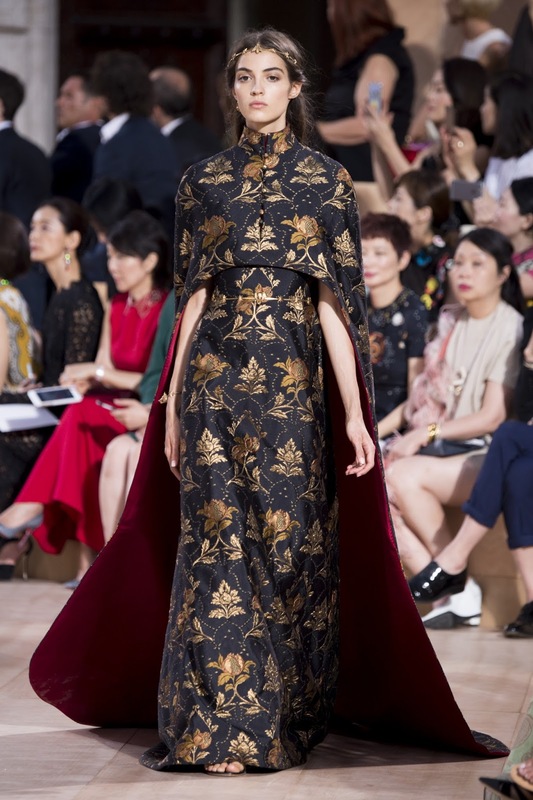 ‘Mirabilia Romae’ – meaning ‘The Marvels of Rome’ – was the title of Valentino’s Haute Couture show in Rome this season. Valentino took his audience on a mesmerising journey revisiting the Roman culture. Those who have lived in Italy would know both Rome and Valentino are a source of national pride in Italy. Valentino's love for the city was apparent in his clothes. Elements of Rome were visible in the form of gladiator heels, rich red gowns, golden accessories and leaf wreath headbands. What really stood out in the collection were the statuesque capes and the use of intricate lace. Trend Mill: 5 Ways to Rock the Denim Trend.